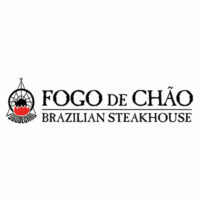 Fogo De Chao is a Brazilian steakhouse known for using a traditional grilling technique called churrasco. The concept of the restaurant came from the farms in South Brazil. Its story started in a small wooden restaurant in Porto Alegre in 1979. But it was not until 1997 that the company expanded its business to cater to customers in the United States. The restaurant has opened over 39 branches in the United States and nine in Brazil. It continues to spread the culture that it started 37 years ago with its growing workforce. Aside from the competitive salary that it offers to its employees, benefit packages are also given. This includes medical and vision assistance, paid time off, retirement plans, and employee discounts on its products. The company also encourages its employees to balance their work and personal lives. Its flexible scheduling enables them to spend time with their families without thinking of work. How old do you have to be to work at Fogo De Chao? Job applicants are required to be 18 years old or above to be able to work in Fogo De Chao. Dishwasher: This person is in charge of ensuring that the utensils, glassware, and plates used in the restaurant are clean. The dishwasher is also tasked to help clean the kitchen. Server: This person is responsible for bringing the customers’ orders. The server is expected to be approachable and friendly. Line & Prep Cooks: This person is tasked to prepare the orders of the customers. The line and prep cooks ensures that the food being prepared follows the restaurant’s standards. Dessert Attendant: This person manages the restaurant’s extensive dessert service. The dessert attendant prepares and properly stores the desserts in the restaurant. The restaurant offers other job positions such as Gaucho chef, busser, cashier, host or hostess, barback, and salad bar attendant. The applicant is asked to enter an email address before proceeding with the application process. A general information sheet is provided for the applicant to fill out. Application questions will then follow. Online application is used for a faster hiring process in all the restaurant branches. It is easier for the management to track its aspiring employees and what branch are they applying in. It is important for the applicant to give the right information that the company requested. The applicant’s work availability should be properly specified to avoid time conflicts. The resume may contain the applicant’s professional goals. Let the hiring manager know the applicant’s career objectives. But avoid being generic. Body language could be a strength or weakness during interviews. Use it as an advantage to show the applicant’s desire to join the restaurant’s workforce. The restaurant offers its customers a Brazilian inspired menu while maintaining the tradition of gathering people together as a family. Due to the restaurant’s success, a sculpture of Antonio Caringi’s, O Laçador was built in its New York branch. This is considered as a historical monument in Porto Alegre, Brazil. The company is also known for offering job opportunities equally to its applicants. It is an Equal Opportunity Employer and E-Verify Employer that is why its workforce is composed of diverse employees. It is also committed to the communities where it belongs. The restaurant works with different organizations for many causes. A donation request form can be accessed in their site.